Prince Aviation was the first and today is the biggest business aviation airline in this part of the world. Flying is not just a day-to-day business, for the team of Prince Aviation, and because of that we were always looking to: exceed customer and passenger expectations, both on the ground and in the air, and business aviation airline of first choice, the standard that all others seek to follow Two decades of experience is the best guarantee that we know exactly what are our client’s needs and more importantly how to fulfill them. And that it is where Prince Aviation differs from the others – we have developed all departments necessary for safe and completely independent operations. 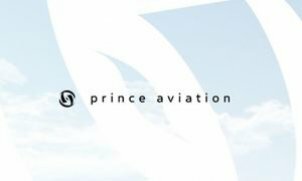 We are very proud that not a single flight has been cancelled due to circumstances under Prince Aviation’s control Prince Aviation operates under the most stringent standards for safety and security. We do not only comply with the obligatory required minimums but always strive to far exceed industry standards. All our pilots are ATP-rated and type-rated in their respective aircraft and pass a comprehensive series of technical and psychological tests. All flight crew members are trained annually in all required and necessary safety, security and human resources skills. Our fleet is carefully maintained to the highest standards by our team of highly experienced technicians and engineers in direct cooperation with manufacturers, partner organizations and regulatory bodies.